(CBS/AP) COPLEY, Ohio - A man apparently angry with his girlfriend gunned down two people outside a home and two more in a car Sunday morning, then chased down another victim in a shooting rampage in a residential northeast Ohio neighborhood that left eight dead, including the gunman who was shot by police, authorities and witnesses said. Neighbors said the dead included an 11-year-old boy and that at least three victims were from one family. A school official said he was told two victims were students at the local high school. The gunman killed seven people in three places and was shot elsewhere, Copley Police Chief Michael Mier said. The names and ages of the victims and the gunman weren't being released until police could notify family members, some of whom are out of state, said Police Sergeant Eric Goodwin. A neighbor, Gilbert Elie, was getting ready for church when he heard gunshots. He went outside and found a woman in a driveway who'd been shot and a man shot near a garage, and a woman and girl in a vehicle who were wounded, he told The Associated Press. Then a woman came out of the house next door and tried to talk to Elie, he said, but her boyfriend followed and shot her. Elie ran for safety behind a truck and didn't see what happened next. Elie described the gunman as generally unfriendly, a rarity on the street, and said he often worked on his car outside his housebut never waved at anyone. The son of one victim said a child was among those shot and that the argument started between the gunman and his girlfriend, according to neighbor Kim Dietz. The gunman chased the son, who escaped by wading through a swamp and made his way to Dietz's home, she told the Plain-Dealer of Cleveland. Jeff Kirby of nearby Norton said he was visiting his mother's home a block from the shootings around 10:30 a.m. when he heard gunfire. There were reprotedly about 15 shots with several pauses between them. Kirby, 53, said the last gunshot he heard occurred about the same time he heard sirens in the neighborhood. 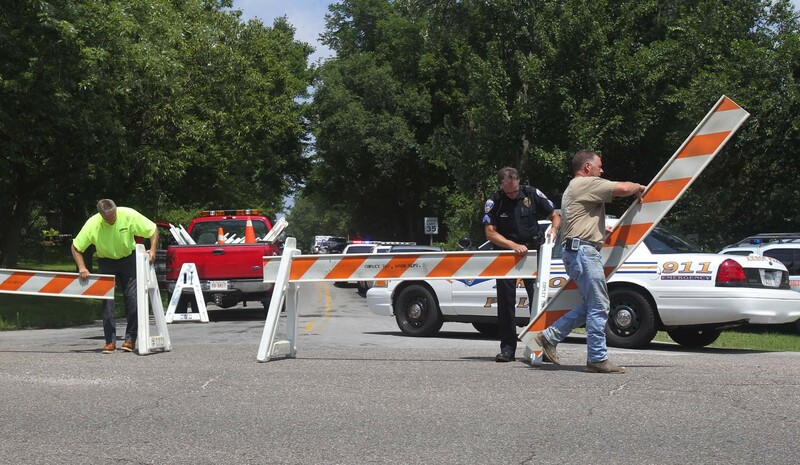 The neighborhood remained blocked off by police on Sunday.